Welcome to the Cable Club! Here, Pokemon trainers around the world can trade Pokemon with one another. Our trading machine can be used to trade multiple Pokemon simultaneously: all you have to do is connect the link cables! Wow! Normal trades seem to be going on again. People trading there Pokemon for Pokemon of the same color! How quaint! 1) Connect blocks of the same color to ensure each trainer gets the correct Pokemon. 2) Paths may not cross each other, or it will interfere with the transfer! 3) The entire grid must be filled, leaving no empty spaces. For completing this puzzle, you'll receive 8 cards! This round closes Thursday, July 12th. This round closes Thursday, July 5th. This round closes Thursday, June 28th. Huh?...I guess there is just one trade going on today... an egg trade! Hmm.. This might make things much easier.. or challenging.. I'm not too sure..
For completing this puzzle, you'll receive 16 cards! This round closes Thursday, June 21st. This round closes Thursday, June 7st. This round closes Thursday, May 31st. This round closes Thursday, May 24th. This round closes Thursday, May 17th. This round closes Thursday, May 10th. This round closes Thursday, May 3rd. This round closes Thursday, April 26th. This round closes Thursday, April 19th. This round closes Thursday, April 12th. This round closes Thursday, April 5th. This round closes Thursday, Match 29th. Wait a minuet... these arn't Pokemon.. THERE GOSH DARN HEARTLESS! Whaaaaaak!!!! This round closes Thursday, Match 22nd. This round closes Thursday, Match 15th. This round closes Thursday, Match 1st. 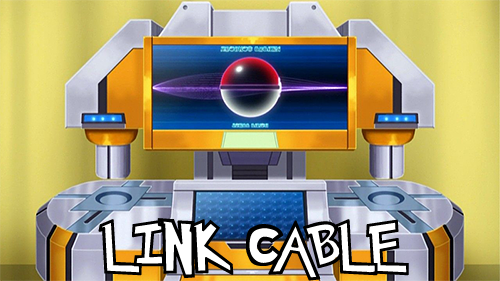 Link Cable 100 + Triple the cards!! For completing this puzzle, you'll receive 24 cards! BONUS: Since it's this round's 100th (my 78th or so). Lets triple the rewards! THATS RIGHT! 24 CARDS!!!! This round closes Thursday, February 22nd. This round closes Thursday, February 15th.